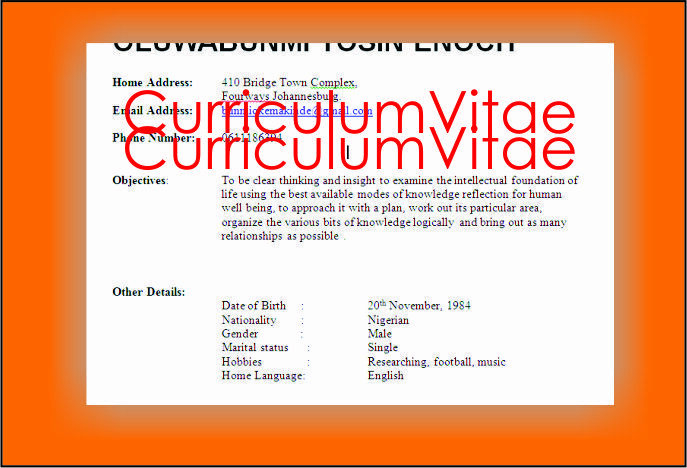 Let me build and design a Beautiful Professional Curriculum Vitae or Resume that will explain your capabilities and Values in details with a very simple and clear words that All Employer will love to see. Never Loss That Your Dream Job Again.. Design and Build A Professional CV with me Today and Step into the office of your dream. build and design a Beautiful Professional CV Resume is ranked 5 out of 5. Based on 1 user reviews.